Understanding the unique role of registration to the suspensory mechanism (or ‘elastic scaffolding’ of the larynx) is an important part of voice building and training. If you are in, say, the lower register and push the voice up in pitch, at a certain point you will not be able to go any further in chest voice but must all of a sudden shift, not only to a different vocal cord thickness but, in keeping with what we’ve said, to a new arrangement of tensions to create this shift. The vocalis muscle abruptly lets go while other muscles are forced to compensate by tightening; the result of this sudden shift is an abrupt change in the vibratory pattern, often with a kind of momentary stoppage of vibration, both of which we hear as a break in the voice. When we yodel, we are deliberately causing the voice to violently shift from chest to falsetto so that we hear the break, and the transition from one extreme to the other, as a kind of gymnastic vocal display. Learning to overcome this break in the voice by producing a more balanced and coordinated use of the larynx and throat muscles is one of the central problems in vocal training. We saw earlier that the larynx is supported within a network of extrinsic muscles that form its elastic scaffolding and assist in supporting and stretching the vocal folds. In the average untrained singer, this elastic scaffolding is inactive in chest voice, forcing the singer to shift between one register and another by abruptly altering the arrangement of muscular tensions in the larynx. If, in contrast, the larynx is antagonistically supported within this suspensory musculature, this brings an overall improved support for the larynx so that both the lower and upper register operate within the context of a supportive network that makes the shift from one to the other not just imperceptible but also functionally continuous. To use an analogy, imagine if, when sitting, you are rather lazy and collapsed, which is how most of us use our voices when speaking. You decide to get up, coming forward in the chair rather heavily until, at the last moment, you grip and tighten your leg muscles in order to heave yourself out of the chair. This is precisely what happens with the voice. We ascend in pitch in a heavy, unsupported chest until, when this arrangement no longer serves our needs, we are forced to make a sudden and abrupt shift into an equally unsupported falsetto. As in sitting, we need more overall support in the system, so that we have more activity in rest and more rest in activity – a kind of vocal poise that makes it possible to use each register in the context of a larger supportive network. When the vocal organ is supported in this way, the chest voice is lighter and less collapsed, and the elements of suspension tend to be present even before going into falsetto range, make the shift from chest to falsetto much less abrupt. The falsetto, in turn, is supported so that the shift from chest to falsetto is less noticeable. This produces a balanced working of the larynx – a kind of increased antagonistic activity that makes for healthy, integrated functioning of the different vocal registers. When these conditions are present, the falsetto can then develop into the full-fledged “head” voice, which is the higher register sung with more “chest” voice activity, volume, and fullness of tone. In order to avoid the break between registers, some singers try to blend the two registers – that is, to bridge the passage between the two registers so that there is no obvious shift in tone. Many teachers go even further and deny the existence of registers, shunning any use of the falsetto voice in men and arguing that it is simply necessary to sing low and high notes cleanly. But the real problem isn’t to produce a smooth transition from low to high notes or even within a single register, but to achieve a functional integration of the voice in which the voice is actively supported, whatever register is being used, producing a balanced working of the whole. 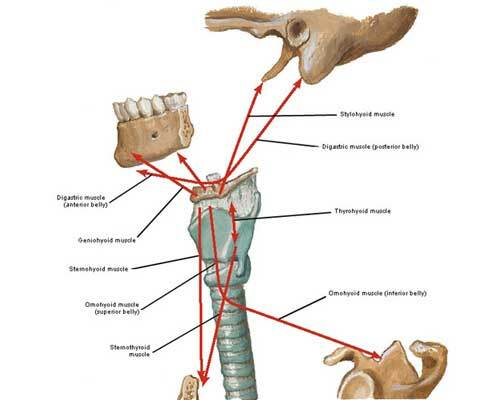 Underneath the problem of blending registers, then, is a functional issue: how to support the larynx so that its functions are balanced, based on the antagonistic action of the supporting musculature. When this system is working properly, each register operates as part of a functionally integrated whole. This not only represents a more complete command of the vocal instrument but also protects the voice, keeps it toned and healthy, and maintains its flexibility and balance. Because a normal, thin falsetto cannot be altered or developed in any way, the falsetto is sometimes shunned by singing teachers, who regard it as a sort of breathy, collapsed, and inflexible use of the voice that has no place in vocal training. This kind of vocal usage is indeed questionable because, as we just saw, it can eventually lead to a divergence of registers in which some functions become overused and others become atrophied. A supported falsetto, however, is a different matter entirely. This type of falsetto serves as a crucial foundation for developing a fully integrated voice in which there is no register divergence but one coordinated usage in which registers virtually disappear. This is one reason why the oldest traditions in singing, from bel canto to the present, emphasize the importance of the falsetto register as a crucial element in vocal training; in fact, a voice that lacks the falsetto register is a ruined instrument that can never be fully developed. The functioning of separate registers, then, far from being harmful or unimportant, is a crucial element in vocal training and represents a basic function out of which a full voice can be developed. Dimon, Theodore. Your Body, Your Voice: The Key to Natural Singing and Speaking. North Atlantic Books, 2011.